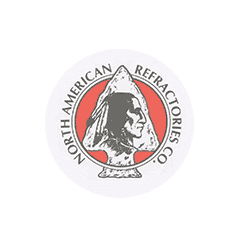 Formed in 1929, North American Refractories Company (NARCO) was one of the nation's largest manufacturers of asbestos refractory materials, which are heat-resistant materials used to line high-temperature equipment such as furnaces. NARCO developed heat-resistant products during a period when asbestos use was prevalent because of the mineral’s durability and fireproof nature. Through various mergers and strategic acquisitions, the company’s product line expanded to cover more than just refractories, adding products such as furnace fittings, coating installations, ceramics and brake pads and linings. The company grew quickly, opening manufacturing plants in Kentucky, Pennsylvania, Michigan and Indiana. NARCO continued to make asbestos products after its acquisition by the Honeywell business conglomerate — then known as Allied Corp. — in 1979. Although NARCO stopped manufacturing asbestos-containing products in the 1980s, thousands of asbestos-related lawsuits filed against the company led to financial straits and eventually bankruptcy protection. Years later, ANH Refractories acquired NARCO. In 2015, ANH changed its name to HarbisonWalker International (HWI). Its subsidiaries — NARCO, A. P. Green Refractories Company and Harbison-Walker Refractories Company — now operate under the HWI brand name. Today, NARCO and its former parent company Honeywell continue dealing with the legal consequences of the company’s asbestos use, which led to mesothelioma and related diseases in former employees. Exposed to Asbestos at North American Refractories Co.? NARCO faced a significant number of personal injury claims throughout its history, like many other former asbestos manufacturers. By 2003, the company reportedly was named in more than 275,000 asbestos claims and reached agreements with 256,000 of them, or roughly 90 percent. In one case involving five plaintiffs, the victims received a ruling of $130 million against NARCO and Dresser Industries for the companies’ roles in endangering the plaintiffs’ lives with asbestos use. One month later, a Texas jury ordered the company to pay $6.1 million in damages. This award went to a plaintiff who developed mesothelioma after working as a pipefitter for the company. NARCO filed for Chapter 11 bankruptcy in 2002 as more asbestos lawsuits poured in but emerged and reorganized in 2008. The NARCO Asbestos Trust was established on April 30, 2013, with initial funding in the amount of $6.32 billion. The trust reportedly paid out more than $100 million in its first year. Honeywell, which owned NARCO from 1979 to 1986, was assigned the company’s asbestos liabilities through NARCO’s bankruptcy. This means Honeywell is responsible for alleged injuries caused by its own asbestos-containing products, as well as claims against now bankrupt companies supplied by NARCO. During the 1970s and 1980s, NARCO manufactured asbestos brake pads and linings sold to other companies. These products reportedly sickened thousands of workers and customers, many of whom have filed asbestos claims. Because mesothelioma and other asbestos-related diseases carry a decades-long latency period, NARCO and Honeywell are likely to face additional asbestos claims for years to come. Several types of workers helped in the making of NARCO’s refractories and other products. Cement workers, chemical workers, steel and metal workers and engineers all assisted in the manufacturing process. A large portion of NARCO’s products played roles in industrial processes and required resistance to extremely high temperatures. The company’s ceramic refractories lined furnaces that were essential to the manufacturing of cement, lime, chemicals, nonferrous metals, glass, iron and steel. The addition of asbestos fibers to the ceramic refractories made these furnaces able to withstand temperatures of more than 1,000 F on a regular basis. At NARCO’s plant in Mount Union, Pennsylvania, refractories were manufactured out of ganister rock, which is a local and naturally occurring sandstone with high silicon dioxide content. The ganister was pulverized into a powder and mixed with asbestos and other bonding agents until the 1970s, when the Occupational Safety and Health Administration (OSHA) began regulating the use of asbestos in products. NARCO Asbestos Trust. (2017, January 12). NARCO Asbestos Trust. Claims Audit Program. (2017, April 6). North American Refractories Company Asbestos Personal Injury Settlement Trust. Montgomery, J. (2016, October 14). Honeywell Invokes Public Right To Ch. 11 Asbestos Docs. Guarnaccia, M. (2016, September 16). Honeywell Slams Trust's Referee Pick In Asbestos Claim Fight. Mcleod, D. (2003, April 1). Honeywell settles asbestos liabilities with Equitas. HarbisonWalker International. (2017). A New Era of Intensity. RAND Institute for Civil Justice (2010). Asbestos Bankruptcy Trusts: An Overview of Trust Structure and Activity with Detailed Reports on the Largest Trusts. Floor Daily (n.d.). Honeywell Expects to Make $110 Million in Asbestos. Honeywell International Inc. (2012). Form 10-K.